The House of Assembly last night approved a resolution for the government to borrow nearly $58 million from the China Export-Import Bank to construct a four-lane airport highway. The project will mean the grant of 200 work permits for Chinese laborers, but also a very low interest rate for the loan. Expressing concerns about growing government debt as well as the foreign labor component of the airport road plan, opposition MPs voted against the resolution, but Prime Minister Hubert Ingraham said the Progressive Liberal Party does not speak for the majority of the Bahamian people. The resolution passed at 9:30pm after an all day debate. The project will also provide jobs for 100 Bahamians, according to Minister of State for Finance Zhivargo Laing, who Moved debate on the resolution. Ingraham corrected that figure last night to say there will be about 120 Bahamians. 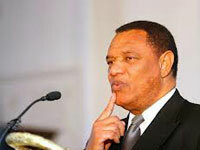 He said the involvement of Bahamains in the project will be “substantial”. Laing said yesterday morning that the nature of the China capital export policy provides for the use of Chinese labor and materials. He said 20 to 30 of the Chinese will be engaged in the investigative and preparatory phase. Additionally, seven to 10 Chinese will be placed in management, 80 will be responsible for light installation, and 60 for water installation. Laing said those Chinese will be engaged over the two-year life of the project and not all at one time. Ingraham said in the House of Assembly last night that $20 million of the near $60 million will be for infrastructure provided by the utility companies. Another $14 million will be spent to import material, he added. The China State Construction Engineering Corporation will carry out the works and provide subcontracts for Bahamian contractors. Laing pointed to the tremendous savings he said the government will get as a result of the 20-year concessionary loan from the Chinese bank. He said the interest rate attached to the Chinese loan is two percent compared to the seven percent minimum interest rate the government would have gotten on the open market. Laing said if the government were to accept a loan with a seven percent interest rate, it would have to pay $43 million in interest alone. By comparison, the Chinese loan would attract $10.7 million in interest. For the first five years, the government will pay interest only on the loan. 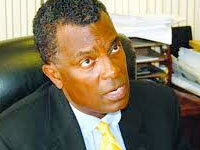 Ingraham said The Bahamas can not borrow anywhere else at two percent. The Airport Gateway Project will greatly benefit Bahamians, according to the government. It will encompass approximately 6.2 miles of road running from Windsor Field Road to the new six-legged roundabout on John F. Kennedy Drive. Laing said there will be a realignment of the existing road to ensure that it can accommodate the requisite speeds for the new road. Additionally, a roundabout will be built at the Prospect Ridge junction. Laing said far too many accidents take place at that juncture. There will be nine roundabouts on the new highway, not including the new six-legged roundabout. Other works will include the relocation of storm drainages, utilities, water mains and television cables. The aims of the project are to reduce traffic congestion of JFK Drive; realign the route to reduce the potential of traffic accidents; complement the Lynden Pindling Airport expansion project; enhance the aesthetic field of the airport gateway and enhance the overall quality of life for Bahamians. Minister of Works Neko Grant, who seconded the resolution, said the first phase of the project, will focus on dueling JFK Drive from Windsor Field Road to Bethel Avenue, running roughly 6.2 miles at a contract price of $67,689,986. Grant said segment one of the project has been placed in six sections. Section one will include the new US terminal access to Coral Harbour Road; section two will include all water works; section three will include all electrical utility works, section four will include the west bound carriageway; section five-will include the east bound highway and section. six will include the ancillary works including street lighting and landscaping. The government is hoping for the contract signing to take place on September 30. If all goes as planned, works are-expected to begin in January 2011 and conclude by October, 2012. Ingraham said there are terms in the project that provide for penalties if the project does not move on track. He said the landscaping will be carried out by Bahamians. Ingraham also said last night that the resolution that would provide for the grant of more than 8,000 work permits, for the $2.6 billion Baha Mar project will be debated in the House of Assembly next Wednesday. He said he expects the debate to end by 9:00pm and indicated that he expects the resolution to pass.